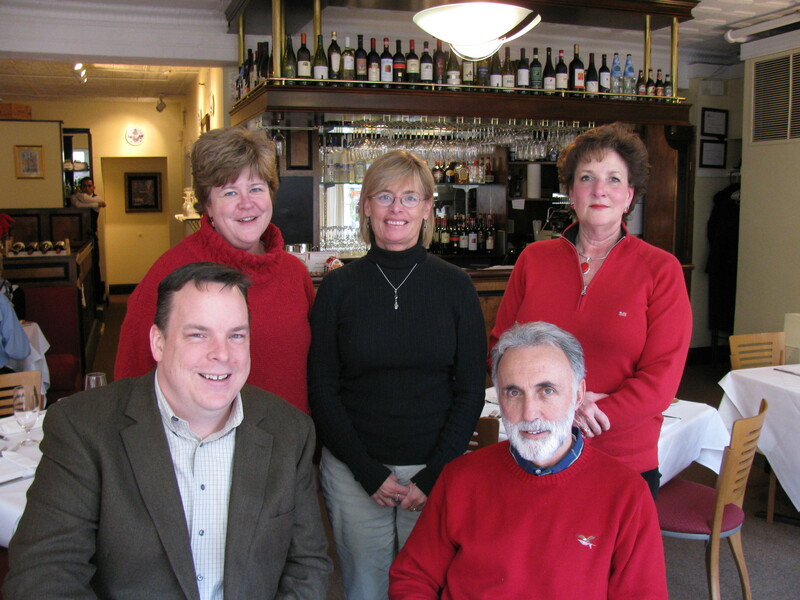 Jon Burrell, lower right, is joined for lunch by (left to right) Michael Sanderson, Ellen Clarke, Leslie Velasco, and Karen Lowe. MACo staff took Jon Burrell to lunch today in Annapolis to say thank you for his many years of service to county government as the just-retired Executive Director of the Local Government Insurance Trust. Jon served in that position for 15 years and altogether spent more than 37 years of working for and with local governments in Maryland. He was also Executive Director of the Maryland Municipal League. His future plans include moving to his “creek home” in Coles Point, located in the Northern Neck of Virginia and he is considering other activities as well.